Can You Do a 1031 Exchange With a Relative? Are you allowed to do a 1031 exchange with a relative? Yes, you are. However, special rules do apply. There is a 2 year test that applies when you perform a 1031 exchange with a related party (a term defined for this context in the Internal Revenue Code). Under this test, if either you or your related party disposes of the property received in the exchange, then the 1031 non-recognition of gain or losses is disallowed. However, if that occurs the gain or loss would be recognized in the year in which the disposition occurred, not when the exchange took place. For example, in March 2015 you performed a 1031 exchange with your brother. You traded your brother your Chula Vista rental property for his Escondido rental property. Then, in August 2016 (without your knowledge) your brother sold the Chula Vista property. Even though you had no control over the fact that he sold the property, you did not satisfy the 2 year test so your exchange would be treated as a sale and would be taxable in 2016. Dispositions with respect to which it is established to the satisfaction of the Treasury Secretary that neither the exchange nor such disposition had as one of its principal purposes the avoidance of Federal income tax. All the 1031 exchanges that we have discussed so far have had the exchange of property occur simultaneously. However, it is possible, and in fact very common, for a property owner to relinquish his or her property and then subsequently receive a replacement property- even weeks or months later. 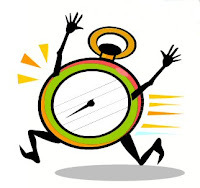 2) The replacement property must be received within the earlier of 180 days of the closing of the sale of the initial (relinquished) property, or the extended due date of the taxpayer’s tax return for the year in which the initial sale occurred. In order to meet the 45-day identification requirement, you must identify and describe in an unambiguous manner the replacement property in a written document. The written document must then be delivered to either the person obligated to transfer the replacement property or to any other person involved in the exchange. As a precaution against identifying a property that is subsequently unable to be delivered to you (and thus not qualifying for Section 1031 treatment), you are allowed to identified more than one replacement property. In fact, you are allowed to identify up to 3 replacement properties (without regard to their value) or any number of potential replacement properties as long as their aggregate fair market value does not exceed 200% of the aggregate fair market value of the relinquished property. In order to meet the 180-day receipt requirement, you must actually receive the replacement property within the time period and it must be substantially the same property identified. A significant potential problem is when people intend to do a deferred 1031 exchange and sell their property, receive the funds, and then use those funds to purchase a replacement property. Unfortunately, that is not a 1031 exchange and will be treated as a sale. If you or a disqualified person receives, or constructively receives, any cash or non-like-kind property prior to receiving the replacement property it transforms the transaction into a taxable event or partially taxable event depending on the amount received. If the amount was equal to the full consideration of the relinquished property, then the transaction is treated as a sale. If the amount received is less than full consideration, then the transaction is treated as a partially taxable exchange. There are a group of people who are considered disqualified persons because they are viewed as your agent or as related-parties. This group includes your employees, attorney, accountant, banker, and real estate agent/broker. There are a number of qualifying arrangements that can be made to work around this limitation. One of which is the use a qualified intermediary. A qualified intermediary is someone who is not a disqualified person and enters into a written agreement with you. Under that agreement, the qualified intermediary acquires the relinquished property from you and then transfers the relinquished property to a 3rd party. The qualified intermediary will then acquire the replacement property and transfer it to you. Here is an example of how a deferred 1031 exchange may look. You own a rental property in Santee with a fair market value of $550,000, but you would like a rental property closer to your home in Vista. You find a qualified intermediary and enter into an exchange agreement to perform a 1031 exchange. You then find a buyer for your property in Santee. 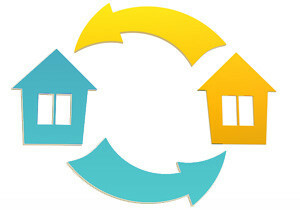 Instead of selling the property directly to the buyer, you transfer the property to the qualified intermediary. The qualified intermediary then sells the property to the buyer. Within 45 days, you find 3 properties that you may be interested in, and your provide their addresses to the qualified intermediary in a written document. After some negotiations with the sellers, you agree upon a purchase price of $600,000 for one of the properties. The qualified intermediary then goes into escrow with the seller to acquire the property, with you contributing an additional $50,000 cash to make the purchase as well as any exchange fees the qualified intermediary is charging you. After the qualified intermediary acquires the replacement property, it transfers the property to you completing the 1031 exchange. Whats Your Basis After a 1031 Exchange? Over the past few posts we have been discussing 1031 exchanges and the requirements that must be met in order to have a tax-deferred exchange of property. We also discussed boot, the taxable benefits that are received as part of a 1031 exchange. 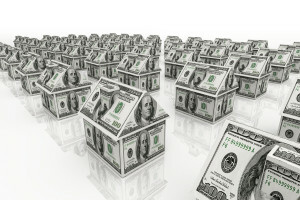 So what happens when you sell the property you received in a 1031 exchange? How do you calculate your gain? The gain is calculated by taking the sales price and subtracting from that amount your basis and the selling expenses (gain = proceeds – (basis + selling costs). Generally, basis is your original purchase price plus the cost of capitalized improvements less the depreciation allowable over the years. But is it the original purchase price of the relinquished property or the replacement property? Do you factor in the capital improvements and depreciation on the relinquished property? In order to determine what your basis is in the replacement property, you start with your adjusted basis in the relinquished property at the time of the exchange. By adjusted basis, I mean you start with the original purchase price and adjust that by any capital improvement and depreciation allowed. As you may have noticed, the adjustments to the basis is primarily boot. Lets look at an example of how to calculate the basis of the replacement property. Several years ago you purchased a property for $200,000. You paid $40,000 cash and financed the rest. 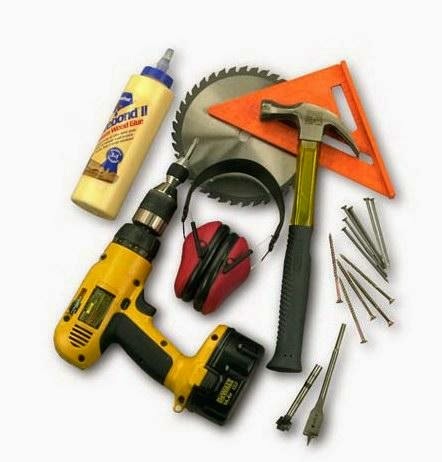 Over the years you made $50,000 of capital improvements and have taken $30,000 of depreciation. You have also paid off $10,000 of the mortgage. Your property now has a fair market value of $500,000, and you enter into a 1031 exchange to acquire a property with a fair market value of $600,000. That property is subject to a mortgage of $200,000. You also agree to pay the other party $50,000 cash. First, we have to determine what your basis in the relinquished property was. You purchased it for $200,000. We add to that amount the $50,000 of improvements and subtract the $30,000 of depreciation. That means your relinquished property had a basis of $220,000. Next, we have to increase that basis by the cash you are paying to the other party and the debt you agreed to assume. That means you will be increasing the basis by $250,000 ($50,000 cash plus $200,000 liability assumed). Finally, there was debt relief of $150,000. That means you decrease the basis by $150,000. That means your basis in the replacement property is $320,000. Over the last few posts, we discussed 1031 exchanges and how, if the requirements are met, they allow for tax-deferred exchanges of one property for another. I mentioned that even though the exchange of the property itself is tax-deferred, there may be other elements to the exchange that are taxable. Taxable benefits received as part of a 1031 exchange are referred to as boot. There are essentially two forms of boot. The first is any property received in the exchange that is not like-kind to the property relinquished. 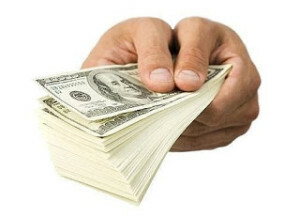 The most common form of this type of boot is cash, but it can be any type of property that is not like-kind. For example, you own a rental property with a fair market value of $1.2 million. You are willing to exchange it for another rental property with a fair market value of $1 million, but you probably want to be compensated for the difference in values by receiving cash for $200,000. That cash is boot. The second form of boot is debt relief. If the relinquished property is subject to debt and as part of the exchange you are relieved of that debt, you are treated as having received cash. Lets say you own a commercial building with a fair market value of $1.5 million, but it has a mortgage of $500,000 attached to it. You exchange it for another property with a fair market value of $1.5 million. At first glance, it may look like there is no boot because nothing except for the rental properties were exchanged. However, you were relieved of $500,000 of debt and that is treated the same as if you had received that much in cash. Cash paid to the other party offsets cash received. 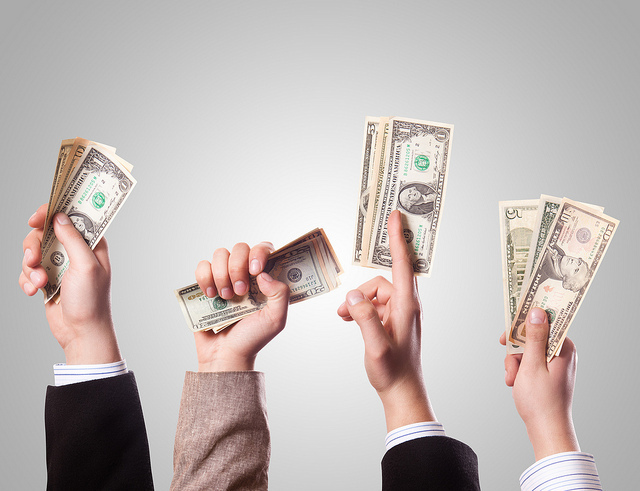 Cash paid to the other party offsets any mortgage (debt) relief. Mortgage (debt) assumption offsets mortgage (debt) relief. Exchange expenses offsets cash received. Mortgage (debt) assumption does not offset cash received. Furthermore, just because you have boot does not necessarily mean that it will be subject to tax. Boot is only taxable to the extent that there is gain. For 1031 exchanges, the amount of gain recognized is equal to the lesser of: 1) the amount of gain realized in the exchange; or 2) the value of the boot received. Lets look at another example. Several years ago you purchased a rental property in San Diego for $700,000. The property now has a fair market value of $800,000 with a mortgage of $200,000. You enter into a 1031 exchange and receive a property with a fair market value of $500,000 with no debt and cash of $100,000. If you had sold the original property in a traditional sale, you would have had a gain of $100,000 ($800,000 value less $700,000 purchase price). Because you did a 1031 exchange instead, you received a like-kind property with a fair market value of $500,000 and boot of $300,000 ($200,000 of debt relief and $100,000 cash). In this case, you would not be required to recognize all $300,000 of boot, only the $100,000 of gain that you would have recognized in a traditional sale. Lets look at the same scenario, except that you had purchased the property for only $200,000. In this case, if you had sold the property you would realize a gain of $600,000. However, in a 1031 exchange you only have to recognize $300,000 of gain because that is the amount of boot you received. Can I Take Advantage of a 1031 Exchange? If you own rental real estate, you are probably concerned about the tax hit you will take when you sell one property to invest in another property. If you talk to realtors or tax professionals about it, they would probably suggest that you consider a Section 1031 exchange. 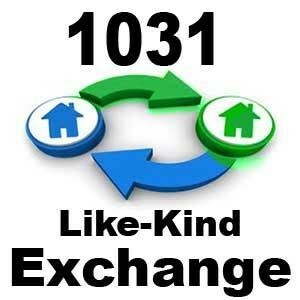 So, what then is a 1031 exchange? It is a tax-deferred, like-kind exchange of one investment for another investment. The Hasbro game Monopoly actually provides a great conceptual basis for how a 1031 exchange is intended to work. Early in the game, you will use your cash to buy various properties. Eventually, one of the other players will acquire a property that you need and is not willing to sell it to you for cash (or you may not have enough cash on hand to buy it). Instead, the other player suggests trading his property for one of yours. When this trade happens, you do not have to pay the bank for the difference in value between your property and the other player’s property. It is simply a trade between the two players. In the real world, you may acquire various investment properties throughout your life. At some point in your life, you may reach a point where you want to sell one of your investment properties and purchase another investment property. Without Section 1031, the owner of each property would have to pay income taxes on their individual gains from the sale of the properties. However, Section 1031 allows each landowner to simply trade their properties like they would in a game of Monopoly while deferring paying any taxes until the eventual sale (not 1031 exchange) of a property occurs. Of course, few trades are this easy either in Monopoly or real life. In Monopoly, if the two properties do not have exactly the same value to both players, then the player with the more valuable property may demand money in addition to the property. While there are no consequences to that in the game, in real life the receipt of cash in a 1031 exchange is referred to as “boot” and is taxable. Even beyond the difference in values between the properties, few trades in the real world are as simple as they are in a game of Monopoly because many properties are burdened with mortgages which can have tax consequences. Furthermore, in the real world it can be difficult to find two landowners who are willing to trade properties, so to make a 1031 exchange work a qualified intermediary may have to be used to work around this problem. Over the next few posts, we will discuss the formal requirements of a Section 1031 exchange, taxable transactions connected to a 1031 exchange, your basis in the new property, and transactions involving qualified intermediaries. In the last post, we discussed that one primary difference between California LLCs and S-corporations is how California taxes them. Another significant difference that you should consider is how your income as the owner will be classified for tax purposes. The owner of an LLC will likely spend countless hours working for the business. However, the owner is not treated as an employee, so the owner does not receive wages or a salary. Instead, for tax purposes, the owner is treated as receiving the entire profits of the LLC as compensation regardless of whether or not any money is taken out of the business. These profits are treated as self-employment income, and therefore are subject to self-employment taxes. It is important to understand that self-employment taxes are an additional tax assessed on your normal income tax return that is designed to imitate payroll taxes. On the other hand, the owner of an S-corporation can be compensated by the corporation in two different ways. The first, like LLC members (owners), is through ownership distributions. These are withdrawals of the business’ profits. The second method, which is not available to LLC members, is through a salary. In fact, an owner-employee of an S-corporation is required to take a “reasonable salary” before taking distributions from the business. What is a reasonable salary varies from business to business, so I would recommend talking to a corporate attorney to determine what is a reasonable salary for your business. The factors that helps to determine what is a reasonable salary include: your position (title) in the business, the compensation of those with a similar position within your field, and the number of employees a business has. 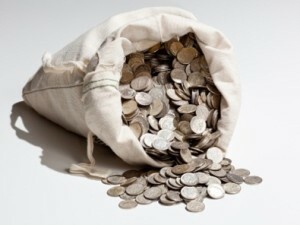 However, you are not required to take any money out of the business, whether through salary or distributions. This means that even if you should have a reasonable salary of $50,000, you do not have to take $50,000 out of the business. You could, for example, take out $20,000. However, up to that hypothetical $50,000 everything should be taken through payroll as a salary. An S-corporation’s net profits is reduced by the amount of salary paid to the owners- the same as it would be by the salary of any other employee. Regardless of whether your business is structured as an LLC or as an S-corporation, the business’s profits are passed through to the owners and subject to income taxes. They are subject to income taxes regardless of whether the profits are retained by the business or distributed to the owners. However, only LLC owners pay self-employment taxes on the net profits of the business.